When employees reach career milestone anniversaries, a meaningful work anniversary gift means a lot. 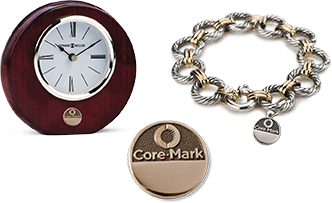 For 100 years, Terryberry has been in the business of helping organizations celebrate their employees with rewards and recognition gifts and awards, including employee anniversary gifts. At Terryberry, we specialize in employee rewards and recognition. 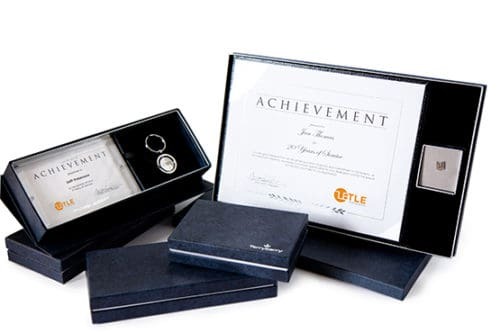 When you work with Terryberry, you can be confident that your work anniversary gifts will send the right message of appreciation to your deserving recipient and will reflect your brand in a positive way. Here are a few things that set us apart. 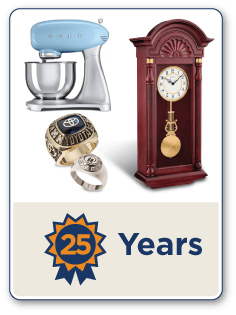 Terryberry offers a large selection of employee anniversary gifts. Many gifts can be customized for your organization and personalized for your recipient. 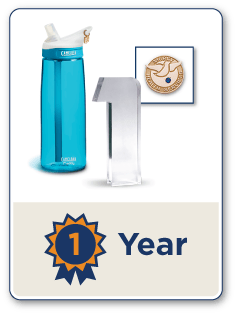 Contact us to learn more about ordering employee anniversary gifts from Terryberry. 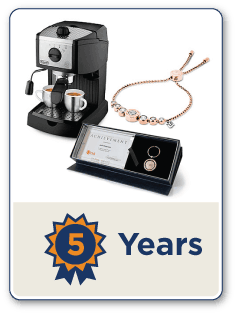 Our most popular option for work anniversary gifts is the AwardChoice program. 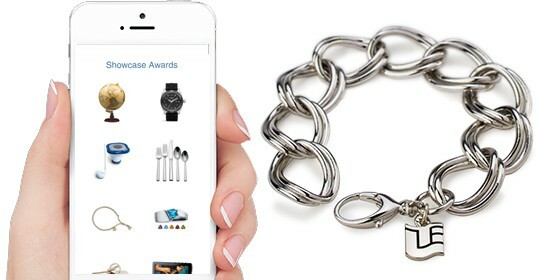 AwardChoice makes work anniversary gifts simple. You set a budget for each work anniversary level (1 year, 5 years, 10 years, etc) and we do the rest. 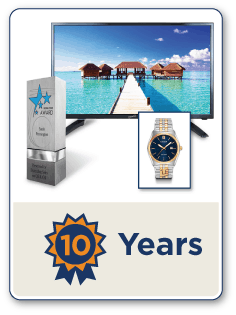 Terryberry provides a selection of items from top brands and your recipients choose the one they’ll enjoy the most. Starting under $50. Our job is to make employee anniversary gifts easy for you and meaningful for your recipients.